An active performer of the traditional repertoire and new music in New York City, Maria has been praised as a "clear and decisive musician," "compelling," and "poetic" by the New York Times. Her 2008 performance highlights include recitals with violist Lawrence Dutton of the Emerson String Quartet at the Smithsonian Institute in Washington, D.C., as well as in Bronxville, New York, and Westport, Connecticut. Past performances include recitals at the Weill Recital Hall at Carnegie Hall, Musica Viva in Belgrade, and the Clark Studio Theater at Lincoln Center, as well as the Aldeburgh Festival in England, Norfolk Contemporary Music Festival, Bolzano Festival, Trinity Church concert series, and the Schumann Festival. Ms. Ilic has worked with composers Martin Bresnick, George Crumb, Oliver Knussen, Joan Tower, John Patitucci, and Vykintas Baltakas; choreographers Ariane Anthony, Rachel Cohen, Bryan Hayes and Rajika Puri; and with the National Theater of the United States of America on their production What's That on My Head? She is a member of the Patrick Grant Group and the Dan Joseph Ensemble. Ms. Ilic is native of Belgrade, Serbia, and holds degrees from the Belgrade Music Academy and Mannes College of Music, and a doctorate in piano performance from Rutgers University. Her teachers include Susan Starr, Pavlina Dokovska, Nina Svetlanova, and harpsichord master Kenneth Cooper. She can be heard on New World Records, Mutable Music and Silent Treatment Music labels. Ms. Ilić is CCDC's founding principal pianist, the company's mainstay musician and most frequent musical collaborator since 2000. A native New Yorker, Christopher is a graduate of the Upper West Side's Mannes College of Music, and a proud resident of Inwood in Upper Manhattan. He has collaborated several times with CCDC, performing the music of Brahms, Dvor?k, and Satie. He works as an accompanist with many other opera and dance companies, including the Pied Piper Children's Theater, Delphi Theatre, Stony Hill Players, Riedel Dance Theater, and Nimbus Dance Works. This season he was honoured to be named the first resident-artist pianist-coach at the Opera Company of Brooklyn, and he recently completed a one-year term as chief organist and choir director at the Church of the Mediator in the Bronx. For notice of upcoming events involving Mr. Bruckman, or just to say hello, please visit www.christopherbruckman.com and join his mailing list. Native to San Francisco, Silvie has sung professionally since her adolescence. She studied voice and piano at the SF Conservatory before moving to NYC, where she received a degree from Columbia University and continued her vocal studies at Mannes. Ms. Jensen has performed widely as a soloist and ensemble singer. She is exceptionally versatile, singing in many genres, from Gregorian chant to opera to contemporary works. Ms. Jensen has appeared in operas with Ash Lawn Opera, Riverside Opera, Bronx Opera, New Amsterdam Opera, Mannes Baroque Ensemble, and Friends and Enemies of New Music. Ms. Jensen has sung solos in Bach's cantatas 134, 140, 68, among others; and in the St. Matthew Passion, Handel's Messiah, Schubert's Mass in G, Vaughan Williams's Mass in G, and the Rutter Requiem with the orchestras of Marble Collegiate Church and Church of the Good Shepherd. She has performed solo song recitals at Weill Hall, the Liederkranz Club, the Roerich Museum, and Symphony Space. She has appeared as a soloist at the Barbican in London with Ornette Coleman, and at Zankel Hall and Merkin Hall singing the works of Meredith Monk. She can be heard on the recording of Monk's Impermanence, to be released on ECM this year. In the summer of 2007 she toured with Monk in Italy and was a resident artist at Sound Res in Lecce. Ms. Jensen has appeared with many esteemed ensembles, including the San Francisco Girls Chorus, Chorissima and Virtuose, the SF Opera, the SF and Berkeley Symphonies, Pomerium, Early Music New York, the Russian Chamber Chorus of New York, and in project ensembles appearing at BAM, the Bard Festival, Carnegie Hall, Tanglewood, and Davies Symphony Hall. She has sung for CCDC frequently since 2003, performing music by Dvor?k, Bolcom, Tallis, Faur?, Glenn Gould, Toch, Krenek, and Mozart. 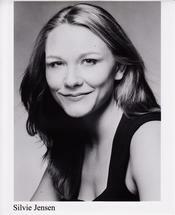 A native of Germany, Theresa came to New York in 1993. The Frankfurter Allgemeine Zeitung has described her interpretations "of the highest standard" and praised her "crystal-clear intonation" and "rhythmic precision." She has performed in numerous international Festivals, such as Festival Presence, Paris; Gulbenkian Festival, Lisbon; Prague Spring Festival; Ostfriesland Festival, Germany; Connecticut Early Music Festival; Staunton Chamber Music Festival, Virginia and Ostrava Days for New Music, Czech Republic, where she was a soloist with theJan?cek Philharmonic. Ms. Salomon performs on both baroque and modern violin in New York with ensembles such as the Orchestra of St Luke's, Rebel Baroque Orchestra, New York Collegium, SEM Ensemble, American Classical Orchestra, and others. She also directs a new chamber music series at Music Under Construction and plays frequently for the dance wing of the organization, Dance Under Construction. Her teachers include Ulf Hoelscher, Philipp Hirshhorn, Wolfram Koenig and Todd Philipps. She has recorded for the labels Vandenburg and Tzadik. She first played with CCDC in 2002. Louise is a founding member and principal violist of the Orchestra of St. Luke's and St. Luke's Chamber Ensemble and also served as the ensemble's associate music director for nearly twenty years. Strad magazine has praised her viola playing as "lovely, filled with a wealth of expression and a lush tone," and Newsday has called her "a gifted soloist . . . an unusually cultivated musician of no outward pretensions." Ms. Schulman earned degrees from Hartt College of Music and the Juilliard School, where she studied chamber music with Felix Galimar, and with members of the Budapest, Hungarian, and Juilliard quartets. She also performs on a variety of early stringed instruments, including viol, lute, cittern, viola d'amore, vielle, and baroque violin and viola. Ms. Schulman's solo recordings include Telemann concerti with St. Luke's (Music Masters) and the Vivaldi Concerto for viola d'amore and lute with Philharmonia Virtuosi (Essay). She can also be heard as a feature artist on St. Luke's chamber music recordings (Music Masters) and with other ensembles and recording labels including the Waverly Consort (CBS Masterworks), Folger Consort (Delos), Anthony Newman (Columbia), and Long Island Chamber Ensemble (Grenadilla), and as concertmaster on baroque violin with Newport Classic and MMG. 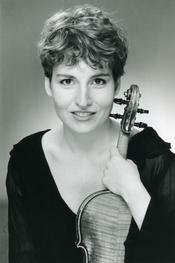 Louise Schulman served as principal violist of the Berkshire Opera in 2006. She has worked with CCDC since 2002.